Ted Pletsch is enjoying his senior season at Bowling Green. He’s part of a team which is ranked 13th nationally, and has records of 19-10-5 overall and 15-8-3 in the Western Collegiate Hockey Association. The forward is faring well academically, too. He has a 3.1 grade-point average in supply chain management and will graduate in May. He’s already is interviewing for full-time jobs in the field. Pletsch’s enjoyment comes even though he hasn’t played in a game this season and appeared in just four games last season. The 6-foot-3, 215-pounder was a regular as a freshman when BG won two playoff series to advance to the Central Collegiate Hockey Association semifinals. The Falcons have clinched third place in the WCHA this season and will host a best of 3 quarterfinal playoff series March 13-14-15. Pletsch had five goals and two assists as a freshman, and killed penalties. But as the Falcons have steadily improved, and the team’s talent and depth have increased, his playing time has decreased. He played in just 16 games as a sophomore. “I knew what my situation was going to be,” Pletsch said. “Playing here has been a great experience. I never had any thoughts about leaving school or leaving the team even when I wasn’t playing. Pletsch’s situation became even tougher in November when his foot was stepped on in practice and he hasn’t been on the ice since. He had surgery to repair the cut. “He’s a big-time teammate,” BG coach Chris Bergeron said. “He’s a big-time kid. He does well in school. You wish he played more because you know how bad he wants to play. Pletsch, who is from Canton, Mich., came to BG after three seasons with the Pembroke (Ontario) Lumber Kings in the Central Canadian (Junior) Hockey League. He had 42 goals, 38 assists and 88 penalty minutes in 153 games. “The way he’s handled his situation, we’re extremely proud of him,” Bergeron said. “Hopefully, we say it to him enough because he deserves to hear it. Being proud of someone within your program isn’t based on scoring goals or playing games. Pletsch is living with teammates Adam Berkle and Dan DeSalvo; his brother, Jesse; and former teammate Ryan Viselli, who was in a situation similar to Pletsch’s last season. “He’s a really hard worker,” said Falcon senior defenseman Connor Kucera, one of Pletsch’s close friends. “He’s always one of the guys who is in the best shape on the team. He kills every test we have off the ice. POLLS: BG dropped from 11th to 13 in both national polls announced Monday, the result of a split last weekend at Alaska-Anchorage, the last-place team in the WCHA. In the U.S. College Hockey Online Top 20, the Falcons received 388 points, down from 470 last week. In the USA Today/USA Hockey Magazine Top 15, BG totaled 11 points, down from 140 last week. Two WCHA teams were ranked in both polls — Minnesota State was second in both, and Michigan Tech was fourth in both. The Falcons finish the regular season this weekend when they host Alabama-Huntsville in the Ice Arena. Faceoff Friday and Saturday nights is 7:07. PROGRESS: BG has improved its win total for the fifth straight season. 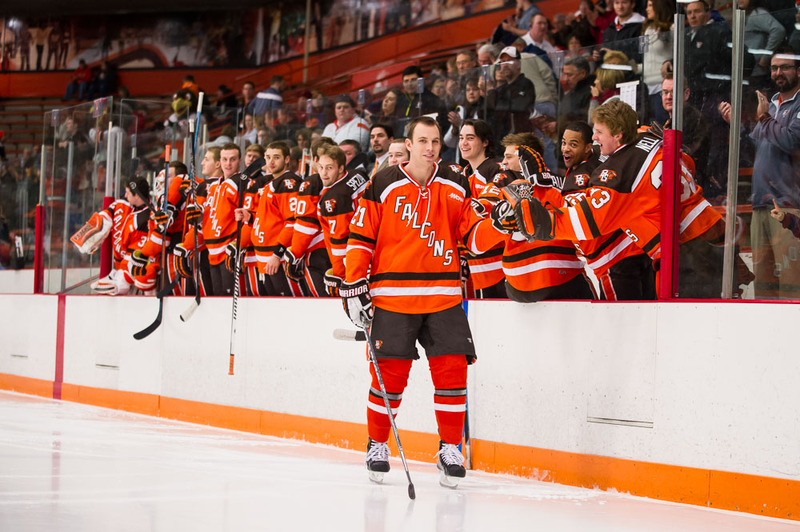 Last season, the Falcons were18-15-6 overall and 13-11-4 in the WCHA. BG’s back-to-back winnings seasons are its first since the 1995-96 and 1006-97 seasons. 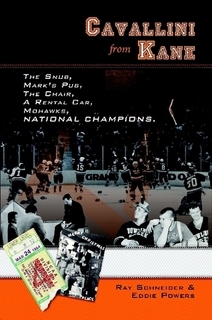 The Falcons were 17-16-5 during the 1996-97 season. 20: BG still needs one victory to reach the 20-win mark for the first time since the 1995-96 season when it finished 26-14-1 .